This simple use of spot colour is achieved by painting black on the layer mask of a Black & White layer. 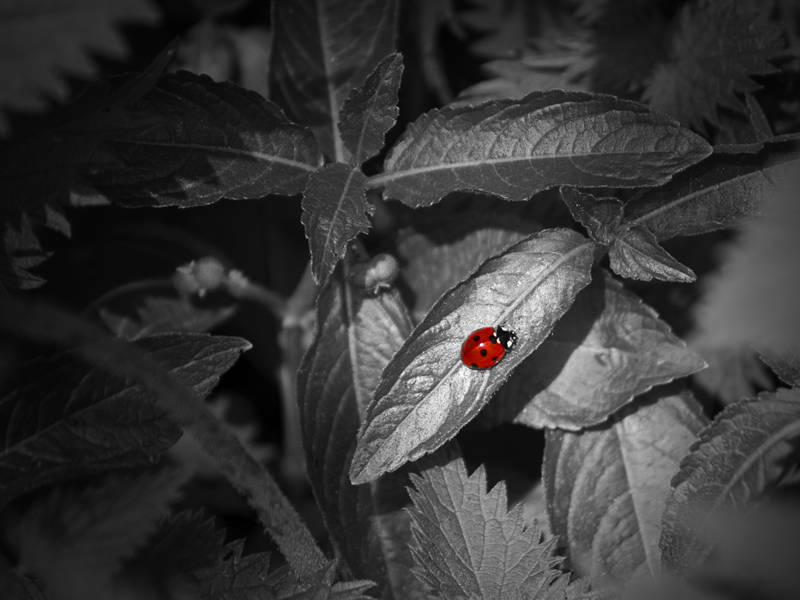 The Hue/Saturation layer above was used to make the ladybird nice and red. It was a little orange in the original capture. Vignette was achieved using a gradient layer and lens correction. That is not a very good camouflage for an insect in that environment but it makes a nice photo.